Shenmue III's Co-producer: the workmanship is such that “fans will surely shed tears again” on playing. “When I played the latest version of the game I had a feeling of reassurance, like I had come back home”. When he came to Japan last December, Shenmue III co-producer and CEO of Shibuya Productions, Cédric Biscay, apparently played the latest version of the game. On December 4th he tweeted, “We will really have the game we are all waiting for!”. What a pleasure to play the latest version of #Shenmue3 today. As a big fan of the Shenmue series, naturally this wasn’t something I could ignore, so I got in touch with him right away. 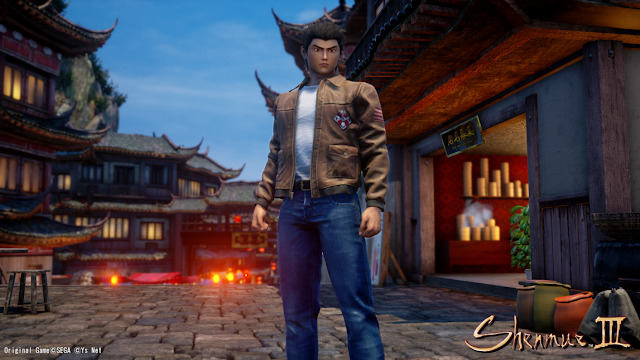 In our January 2nd article [Japanese], Mr Biscay gave his thoughts about Japan’s subcultures, but today we’ll share what we learned about Shenmue III. “When I played the latest version of the game I had a feeling of reassurance, like I had come back home. It was a joyful feeling, just like reuniting with an old friend or relative. 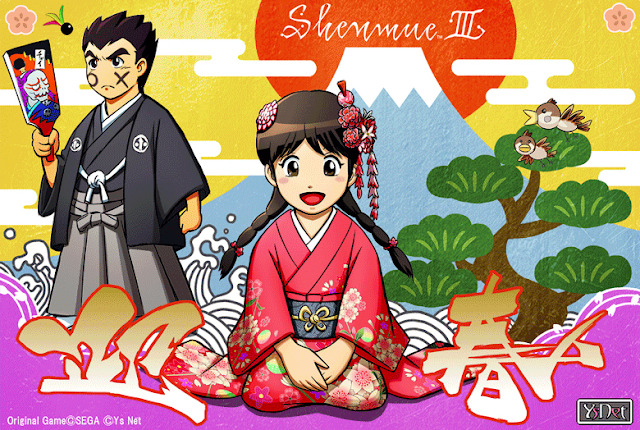 I think if you’re a fan of the Shenmue series, you’ll feel a flood of satisfaction. Without a doubt, you’ll feel that ‘It’s here at last – the bona-fide sequel to Shenmue II!’ People who cried at the E3 announcement will surely shed tears again”. Setting aside the question of whether those who are not especially fans of the series would feel similarly moved, I don’t believe Mr Biscay’s passionate words are merely a producer’s marketing spiel. Mr Biscay himself has been a big fan of Shenmue from the start, and it led to him becoming co-producer. 17 years after the release of Shenmue II in 2001, Mr Biscay was one of those eagerly waiting to find out what happens after Ryo Hazuki and Shenhua leave the cave. Then he took his own action to somehow make Shenmue III a reality. 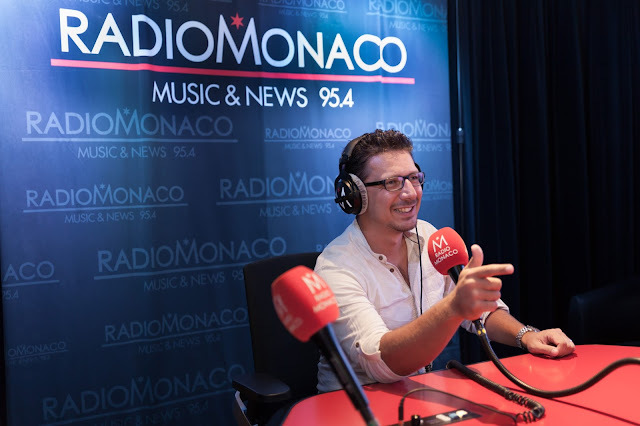 Shibuya Productions, which France-born Mr Biscay set up himself, is Shenmue III's co-producer, but what does this mean more concretely? 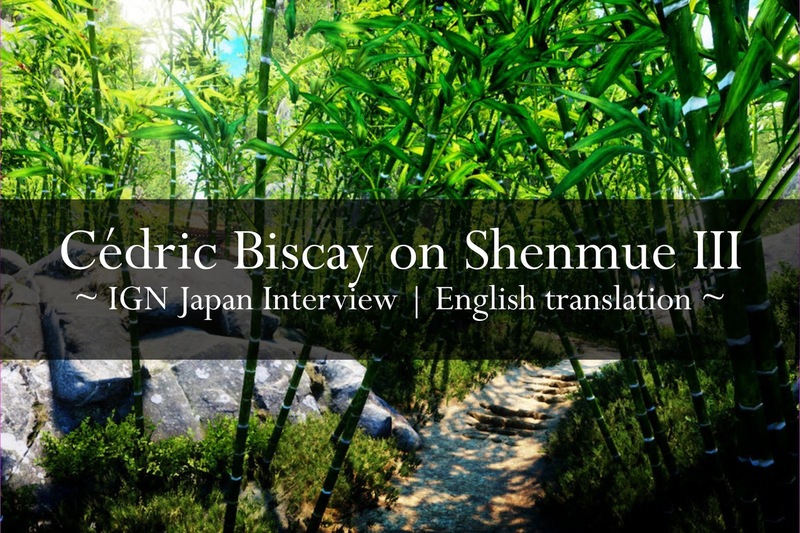 I strongly believe that Shenmue fans should really be grateful to Cédric Biscay. 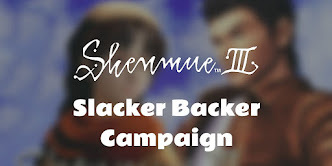 Through helping to make Shenmue III a reality, he says that he has heard a great number of spoilers. 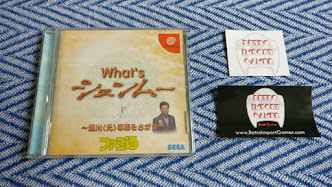 You might say that finding out ahead of the release of the game the answer to the big question of what happens next in the Shenmue story is, in a sense, sacrificing his own enjoyment for the sake of the fans. 2017 was an important year for Shenmue III. It was originally scheduled for release at the end of the year, but a delay was announced shortly before E3 2017. But, thinking about it, this delay was actually the greatest news of all, because the main cause of the delay was an increase in the development scope. It was revealed ahead of the game exhibition held in Germany in August that Deep Silver had joined as the official publisher of Shenmue. Until that point, the game had been developed around the funds contributed by Kickstarter backers, but with the addition of Deep Silver the development budget increased, and the game’s overall scale grew. For fans, there must surely be nothing better, but we asked Mr Biscay how Deep Silver becoming publisher has affected Shibuya Productions’ position. In the end, Shenmue III is now scheduled for release in the second half of 2018, although speaking frankly this writer is not convinced. But in any case there is no need to rush things; now that the development team has at last stabilized, I want Yu Suzuki to add a touch of polish and produce the game he has envisaged. And I want to believe that, while we wait, remasters of Shenmue I & II will be released by SEGA. If this doesn't happen, then the emotion that Mr Biscay experienced playing the latest version of Shenmue III will be something that only fans will get to know. We’ve just entered the 2018 New Year, and this writer will continue to comprehensively bring you Shenmue-related news this year. On February 24th, Yu Suzuki will be attending MAGIC 2018, a subculture event run by Shibuya Productions, where he will give an update on the development state of Shenmue III, so please look forward to that to begin with. 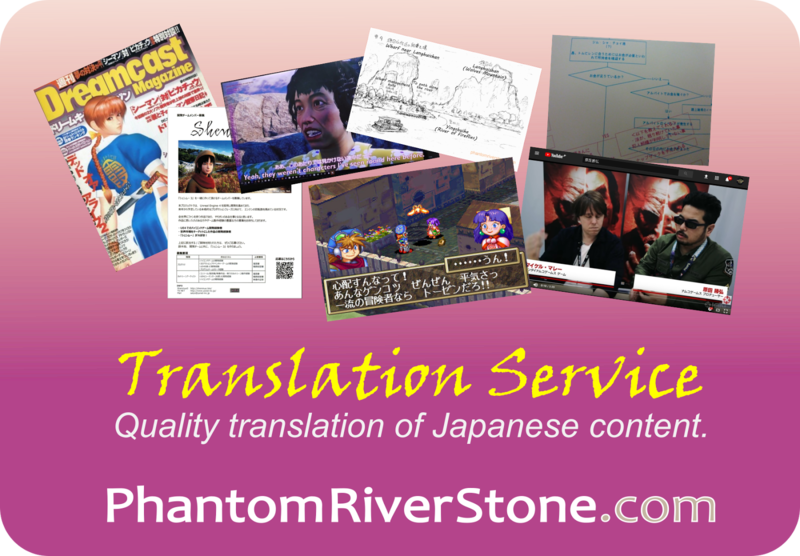 Translated by Switch at phantomriverstone.com. Please include a reference back to this page when quoting. Thank you.